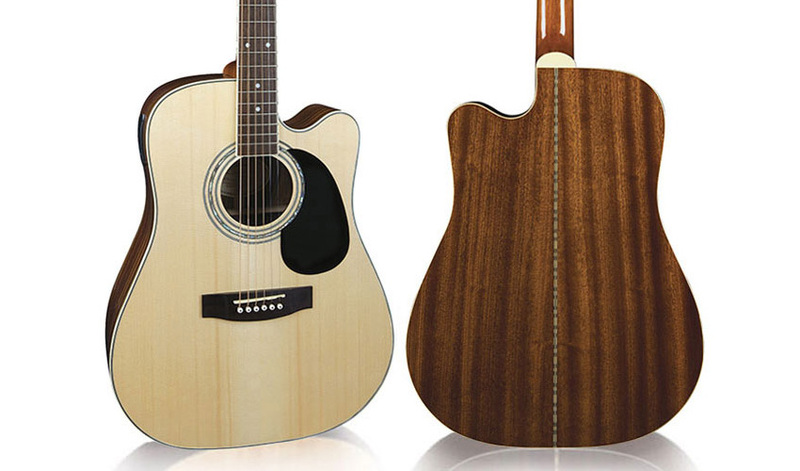 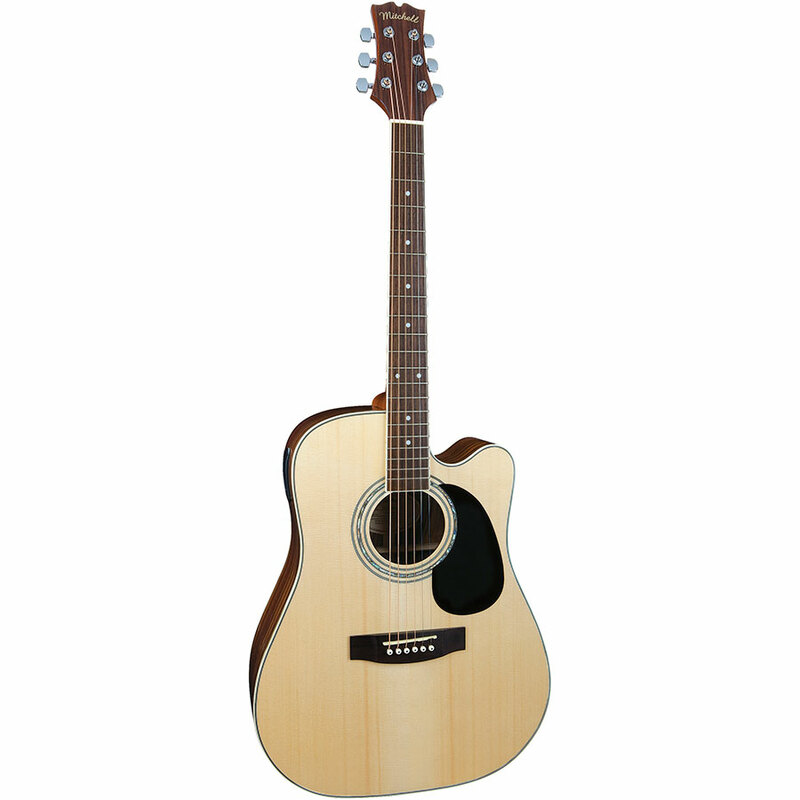 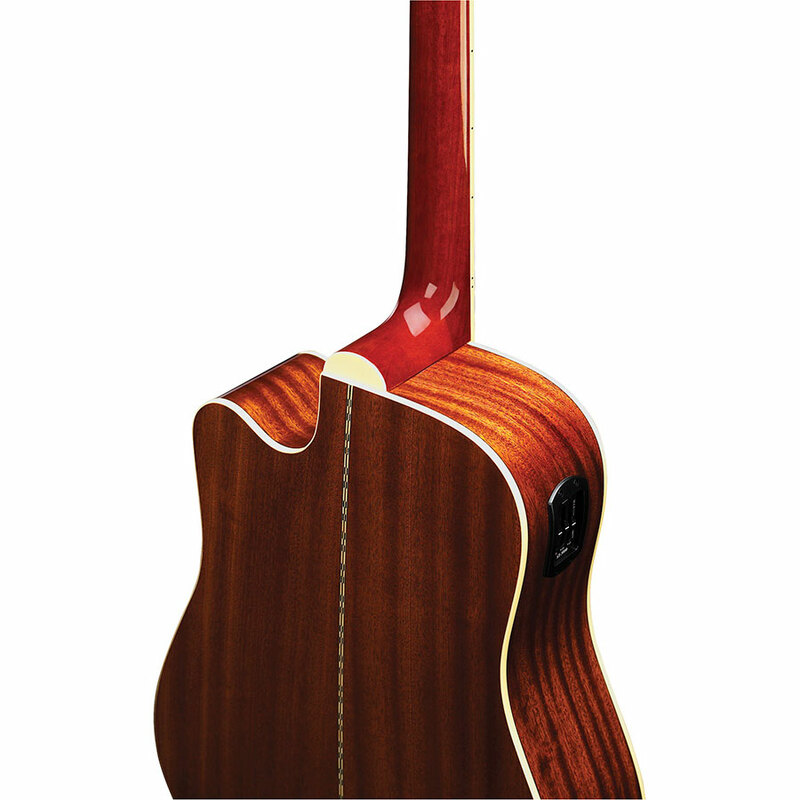 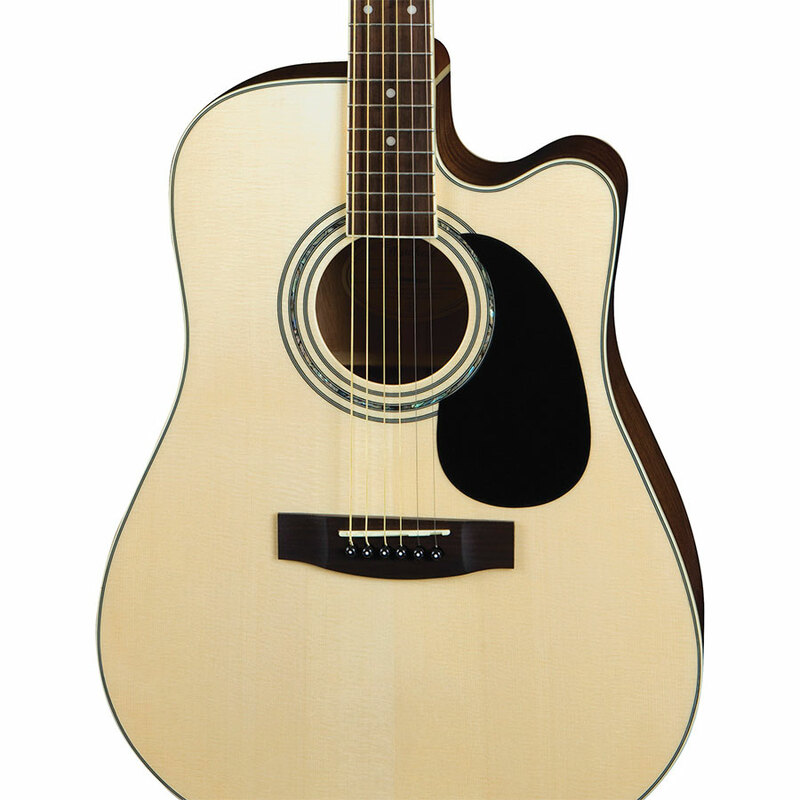 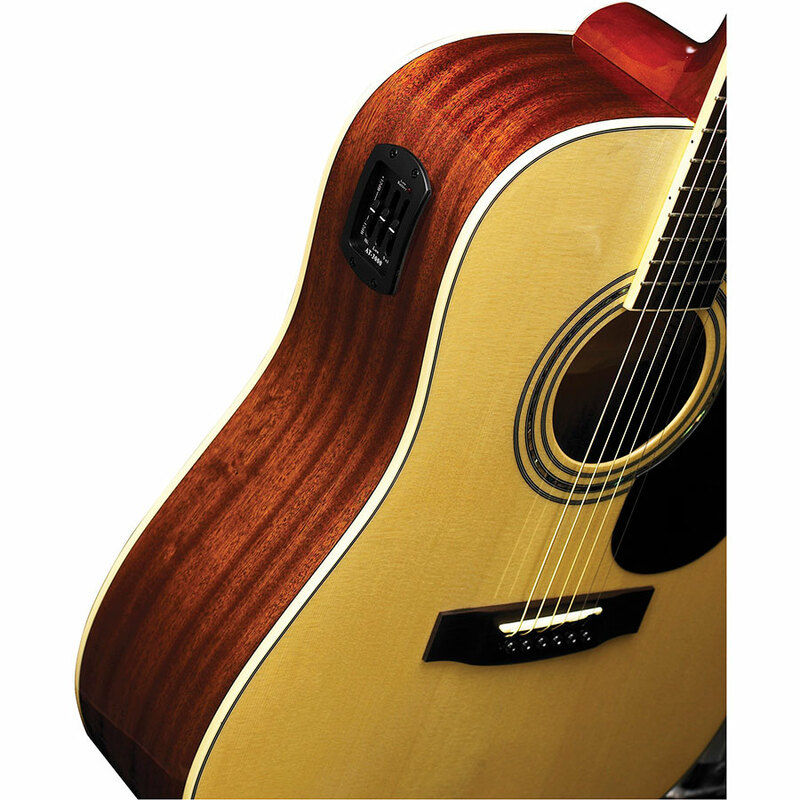 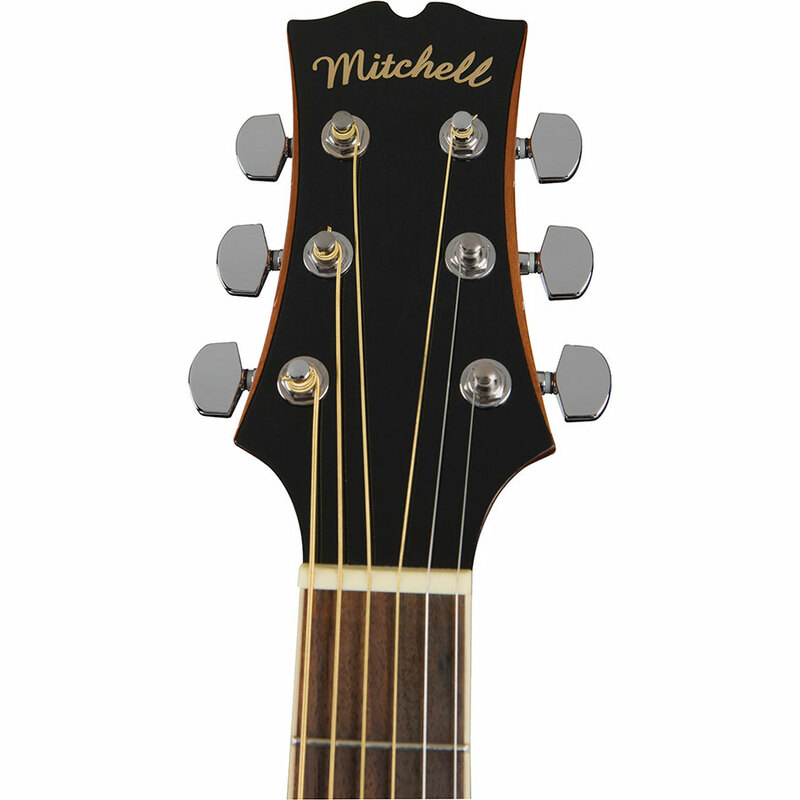 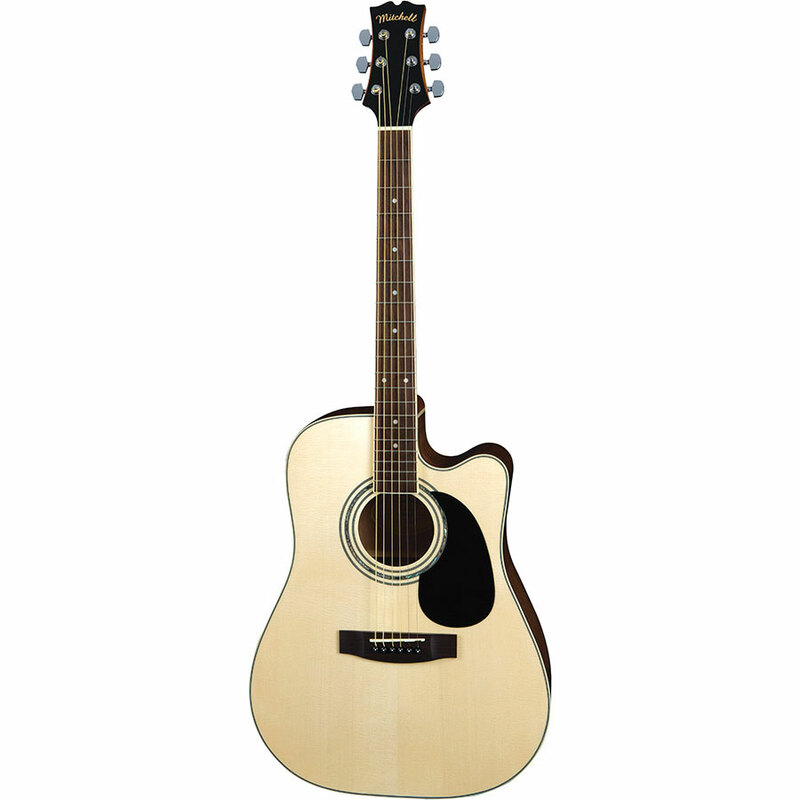 When you need more volume, look no further than the Mitchell MD100SCE acoustic-electric guitar. 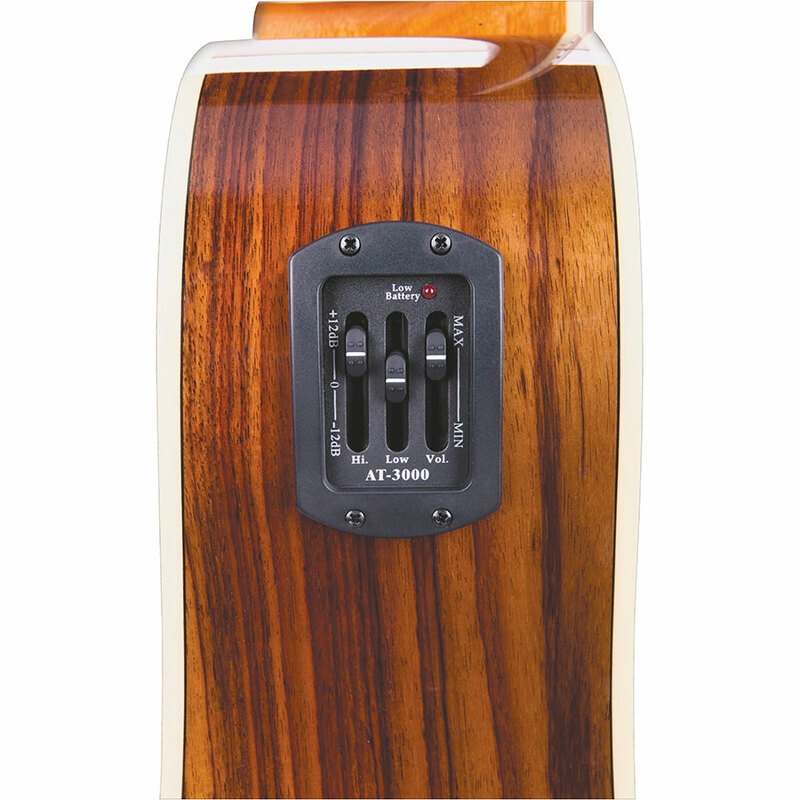 Its AT 3000 preamp with 2-band EQ, volume sliders, and piezo pickup gives you a wide sound palette and onstage versatility. 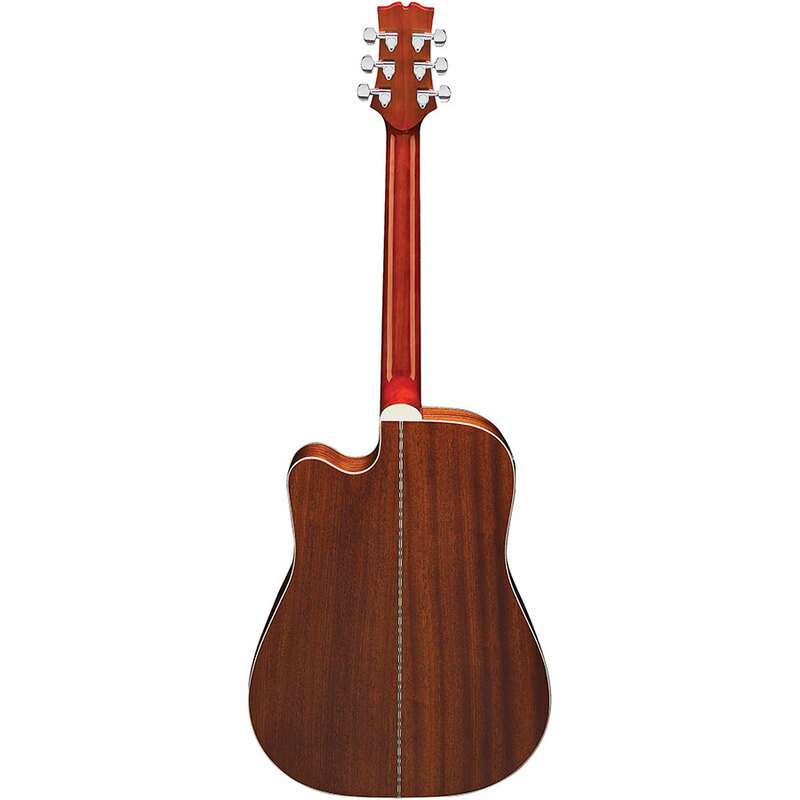 The Venetian cutaway makes it easy to play anything from intricate solos to complex chords, while the solid spruce top perfectly complements the mahogany back and sides.